Ever wondered what is the ingenious function that works behind the scenes to boost your memory, your rationale and language capabilities? It is your cognitive function that does the magic and responsible for the intellectual and knowledgeable you. Flickering attention span? Blame it on your poor cognitive function. Blessed with unswerving focus to take on the most challenging and complex tasks? Yet again, it is your sound cognitive function at play. Keep your grey cells in action with continuous learning. Read books, learn a new skill or engage yourself in any form of creativity. It could be fine-tuning the different parts of your brain with music or indulging yourself in art and crafts like painting, paper craft, pottery, embroidery etc. Be open to learn from new and varied life experiences that can teach you a world of good and enrich your overall well-being. 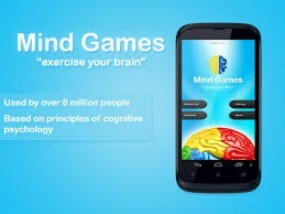 Challenge your failing memory with stimulating and unfamiliar tasks. Not only will they sharpen your brain skills but will also add a whole new purpose to your mundane and monotonous routine. 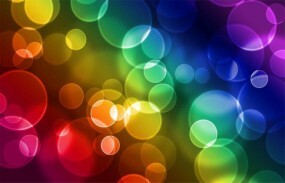 Colours have played a quintessential role in stimulating our cognitive responses since time immemorial. A dash of blue is time-tested to calm your mind and boost your creativity. The colour red is well-known for its fiery aspect. However, it might surprise you to know that it also has a positive effect on your memory since it stimulates the adrenal gland and the neurons. Keep it in moderation and let it invigorate you with its warmth and zest. Same goes for yellow that promotes release of Serotonin – your ‘feel good’ hormone. Yellow also boosts concentration. No wonder study and play rooms often sport red and yellow in tandem. And why forget their harmonious blend – the energising orange? Known to stimulate your mental abilities, orange packs enough punch in your spirits as it does on your mind! Okay, so you have been exercising diligently to maintain your physical health. Now, what about your mental health? How do you keep that in shape? Well, its exercise again! Confused? Let’s explain why. 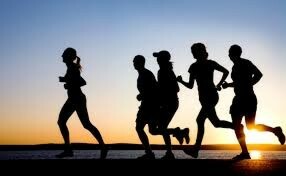 Exercise is your external oxygen supplier to your brain. It aids release of various hormones that nourish and foster growth of your brain cells. It promotes neural health that is so essential for cognitive functions. Aerobic exercises are beneficial in enhancing your processing and memory functions. So, start your mornings with a liberal dose of exercise and recharge your body and brain for the rest of your day. They are fun and they keep you engaged for long. Did you know that they engage your brain too? Mind games are an easy way to keep the neurological system ticking regularly. They act as fodder for your grey matter that prevents deterioration of brain elasticity. Engage yourself in games that egg you to think out-of-the-box and trigger your creativity to its pinnacle. Now, enjoy those problem-solving puzzles without any guilt as you can be rest assured that they are working their magic on your deadbeat neural circuits while casting a spell on your weary souls. We bet you thought till now that they were meant to calm you from within. Well, rightfully so but medication does much more than just soothing your tired souls and restless minds. Focused meditation tames your wandering mind and trains it to concentrate on a single point of attention. 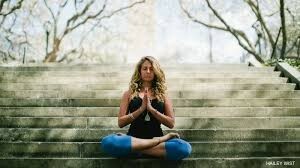 You can also try open-minded meditation that will help you hone your ability to be cognizant of everything around you without losing sight of anything. Chronic stress is the silent killer of cognitive function. Regular meditation can help you de-stress yourself which, in turn, can keep age-related brain diseases like Alzheimer’s and Dementia at arm’s length for a much longer time. You will gradually notice improved reasoning and planning capabilities along with enhanced feelings of compassion and tolerance for any possible circumstance around you. Such a tiny space and so many things to do and remember! It sure needs some well-deserved sleep. Sleep helps the brain to assimilate and consolidate all the learning and memory that have been infused in it the whole day. It acts as catalyst for your brain to re-energise itself. Not surprising that you wake up all irritable and find it difficult to think clearly when you do not enjoy an uninterrupted stretch of quality sleep. So, next time someone complains about your long dozing spell, do tell them that you are replenishing your storehouse of ingenuity. They will surely be left gaping just the way you were until we unveiled it all! A healthy diet is quintessential for an active brain and smooth cognitive function. Add dollops of fresh vegetables like broccoli and cauliflower as well as walnuts and celery to your dietary plan. 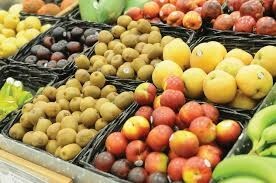 They are high on antioxidants and other compounds that improve and maintain the health of your brain. 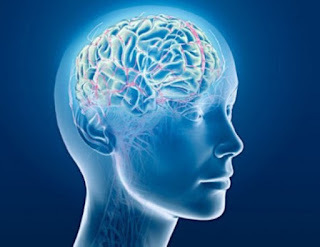 Cook your meals in coconut oil that can supply with your brain with adequate amounts of medium-chain triglycerides – potent against a host of degenerative neurological diseases. Don’t leave out the essential Vitamin D that aids nerve growth in your brain and boosts your ability to form new memories. Wondering where do you reach out for the vital Vitamin D? Trust Mother Nature to bless you with sunshine that has it all it takes for a healthy brain function. Don’t overdo it or you will soon be flaunting unwanted sunburn! If you have been noticing the telling signs of cognitive function deterioration such as foggy memory and other associated memory problems, then take stock of it now as it could be indicative of Vitamin B12 deficiency. Vitamin B12 is effective in slowing the process of brain atrophy in older people and inadequate consumption of it can lead to an increased risk of developing Alzheimer’s. Balance your intake of Vitamin B12 by endorsing seafood, chicken, beef, milk and eggs in your daily diet and keep your mind sharp, irrespective of your age. Round off your balanced diet with a natural supplement like Tongkat Ali that can alleviate chronic stress and improve cognitive function through regular and measured consumption. We hope we have told you enough to spark your imagination. Embrace these simple tips in your daily life and vitalize your grey cells enough to last you a lifetime!